We want your moving experience to be as stress-free as possible. Below is information that will help you make an informed decision about your next move. To save yourself time and trouble in your next move, choose a Professional Mover today. 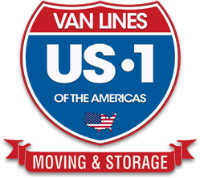 • Is your mover a member of the Professional Movers Association of Florida? • Is the company registered with the Florida Department of Agriculture and Consumer Services? • How long has your mover been in business? • How does the company handle claims for damaged/delayed goods? • Does the company have an on-time delivery record? • Does the company provide storage and packing services if needed? Although the Internet is a valuable resource for gaining general knowledge about moving costs, it should never be used as a replacement for an onsite estimate. Avoid doing business with Internet-only or telephone-only moving companies. A fair and reasonable estimate can only be given if the moving company’s estimator actually sees the goods being moved. Most moving companies will assist you in packing for a fee. Should you choose this service, the moving company will accept liability for the goods they pack. If you pack your belongings yourself, then the moving company will only accept liability for the transport. Moving over the summer and during the first/last week of the month is generally more expensive than moving during the winter and the middle of the month due to the high number of moves across the state. Make sure the movers can reach you both in transit and at your destination; if they cannot reach you, your goods may be placed in storage, and you will incur additional charges to have your belongings delivered at another time. Whenever you are moving, a professional moving company can take the headaches and stress out of the move and make the transition much easier on you. Contact the mover as soon as possible. The more lead-time you can give, the more likely you will be able to schedule your move to meet your needs. Generally four to six weeks before your preferred date is adequate lead-time. Remember, summertime and the first/last week of the month are the busiest for movers; you may pay more to move then. What is the difference between an “intrastate” and “interstate” move? An “intrastate” move originates and terminates within a single state. Within Florida, this type of move is subject to state regulation and is governed by Chapter 507, Florida Statutes. An “interstate” move originates, terminates, or does both outside of the state of Florida. Regardless of where the moving company is located, the federal government precludes the states from regulating these moves. According to Chapter 507, Florida Statutes, a written estimate and contract are required for all intrastate moves. The estimate must contain specific language and must be signed by both parties. The answer is yes and no. The mover must relinquish your property and place it within your dwelling upon payment of the full amount of the estimate. However, the law provides for the mover to seek payment, at a later time, for additional legitimate services performed that were not contained in the estimate. The mover cannot withhold your property in whole or in part if you have paid the amount of the estimate in full. Can a mover charge more than the written estimate? There are times when costs are incurred during the move that were unforeseeable at the time that the written estimate and contract for services were signed. Florida law does entitle movers to additional legitimate charges after the goods have been delivered. However, a mover is prohibited from demanding payment of any charges in excess of the estimate prior to delivery. Is the moving company licensed? Moving companies conducting intrastate moves in the state of Florida must be registered with the Florida Department of Agriculture and of Consumer Services. If the company’s principal place of business is within one of the counties with local moving ordinances (Broward, Interstate Move: Move between two states. Intrastate Move: Move within a single state. Miami-Dade, Palm Beach, and Pinellas) it must register there also and comply with any local ordinances. State registration numbers must be clearly printed on all advertising and business forms, such as contracts and estimates. Under Florida law, all movers in the state must carry cargo liability insurance and motor vehicle insurance. When choosing a mover it is advised that you find out if the company carries adequate Workers’ Compensation insurance on its employees. Most moving companies carry limited liability insurance based on the weight of your goods – that may not cover the replacement cost of your belongings. You should inquire about obtaining insurance for the value of your belongings, either through your mover or through a private insurance carrier. What types of payments are accepted and when is payment due? Florida law requires that movers accept a minimum of two of the three following forms of payment: 1) cash, cashier’s check, money order, or traveler’s check; 2) valid personal check; or 3) valid credit card, which shall include, but not be limited to, Visa and MasterCard. The type of payment the mover will accept must be disclosed on the estimate and contract. Payment is due upon delivery of goods unless prior arrangements have been made. Yes, at your request you can arrange for storage of your goods. This should be outlined in your estimate and contract, and the cost should be disclosed before you move. If the mover is unable to contact you to make delivery, the company may temporarily store your goods, or, if you fail to pay the amount of the estimate, the mover may withhold delivery of your goods and place them in storage. You have the right to know where your goods are being stored. You are responsible for the storage charges.